Around 55 health & safety specialists from Austria and Germany accepted the Group’s invitation to take part in the “health & safety Days” in Linz on March 20 and 21, 2018. 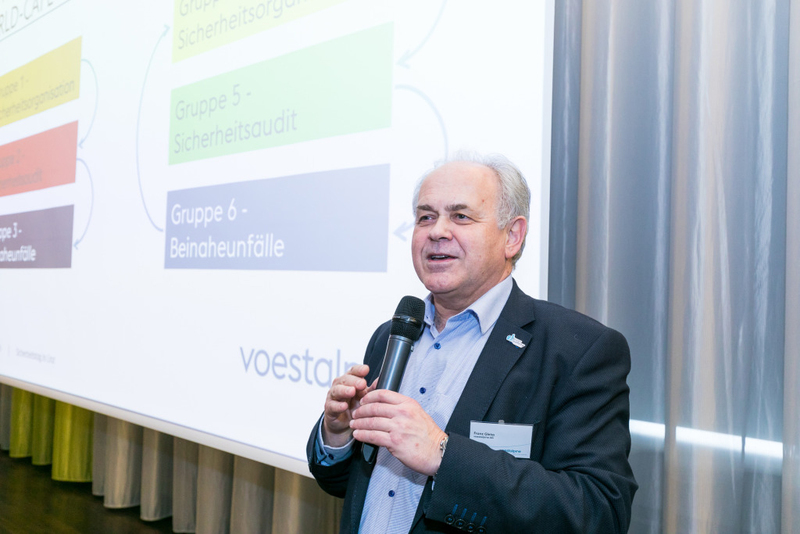 As well as a chance to network, the program included world cafés, specialist presentations, and examples of best practice at voestalpine companies. Health & safety enjoy the highest priority. Our executives must embody these principles and ensure their consistent compliance. Safe working conditions are the basis for employment at voestalpine. Our employees influence the health & safety of everyone through their behavior in the workplace. Responsible employees take care of themselves and their colleagues. We also expect that our customers and partners give priority to the health & safety of their own employees. Healthy and fit employees are the basis for a healthy and successful company. Every workplace accident is one too many, and is avoidable. Franz Gleiss was followed by social educationalist Jörg Wieja from the Institute for Continuing Occupational Education (Institut für betriebliche Weiterbildung Jörg Wieja) who explained how sustained changes in individual behavior can be achieved. When accidents happen, it is also important to analyze the course of events and immediately implement preventative measures. Furthermore, one should not only talk about safety risks, but also about what is done well, and to identify examples of best practice. With respect to health & safety, the primary focus should not only be on facts and figures, but above all on employees showing concern for one another. The world café sessions focused on the minimum safety standards published last year. Six groups examined the topics of health & safety organization, safety audits, and near misses; the results were presented by members of the health & safety Committee the next day, and are scheduled for consideration at the next closed meeting. On the second day participants were given an exclusive insight into the future in terms of the impact of digitalization on the development of protective equipment: UVEX, a company based in Fürth, Germany, and founded in 1926, focuses on the two areas of Sport & Safety. Having adopted the buzzword “wearable technologies”, UVEX is testing the integration of digital safety features: sensors integrated into personal safety equipment (e.g. smart helmet, smart glasses, smart gesture control, active lighting, smart shoe, smart safety glove) are intended to make work safer, for instance by displaying safety warnings on protective glasses. Additionally, seven positive examples from the divisions selected in advance by the members of the health & safety Committee were presented by each of the safety specialists, and each issued with their own award by the health & safety Committee. "The positive examples taken from the divisions can, and should, also be transferred to other locations. 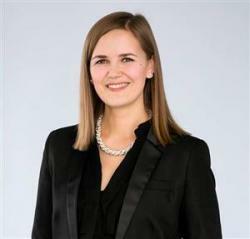 This will bring us one step closer to a zero-accident culture, and heighten the focus on workplace safety even further."